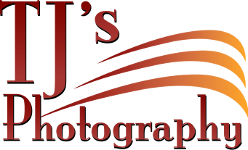 Senior Portraits at TJ's Photography are an EXPERIENCE to be remembered! We like to make your session unique & fun! JULY SPECIAL - Free mini-wallet portfolio of your favorite poses. Portrait Collections start at $300. We offer many wall and gift sized portraits, Gallery Wraps, Custom Framing, Senior Art Books, and much more!